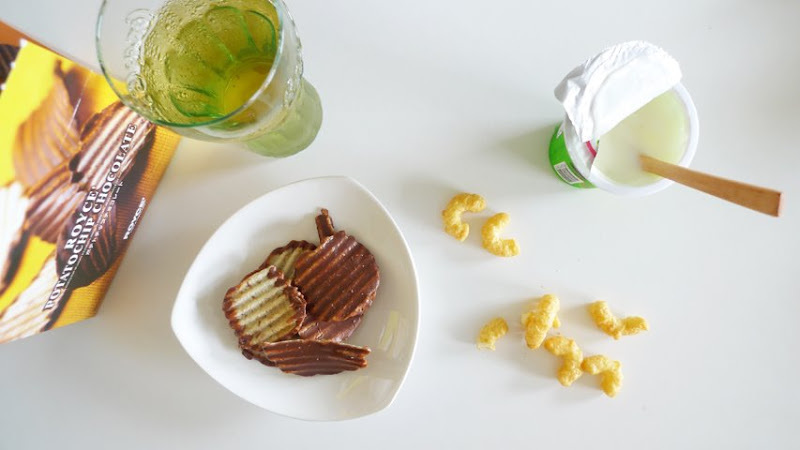 Potato chips coated with chocolate, how sinful is that? Royce choc chips! Worth a try? yes, esp if u love potato chips. it's salty and sweet at the same time, i like!